Woodlands Texas' #1 House Buyer! Location is often the deciding factor. For young professionals who want to be close to the action, a short walk to restaurants, shops and a train station is a higher priority than having more space and a private yard, for example. Read: Five Things I Wish I Had Known Before I Bought a House. Town houses/condos that are in a few units are often chosen mostly based on its location. They usually are centered in the middle of things, such as restaurants, shopping centers, movie theaters and grocery stores. See: What Kind of House Should You Live In? First-time buyers may not have the confidence, skills or experience to take on a fully detached home with all of the upkeep. Those with many other responsibilities may not have time for home maintenance. Condos are also a convenient option for people who travel a lot. Read: What Style of House Should You Live In?. A town house or condo may be a good fit for first-time homebuyers because association fees cover maintenance and repairs. Owners of single-family homes have to set aside money for those purposes. They are also preferable to those who don’t want as much homeowner responsibility, as they won’t have to hire landscapers and other contractors for exterior maintenance. Owners associations can tell residents where to park, ban them from barbecuing on balconies, and otherwise impose restrictions. Neighbors are close, and they can be annoying. You are significantly more tied in value to your neighbors when it comes to condos and town homes. Exterior renovations (and their budgets) have to be approved by the owners. And when other owners don’t pay their bills, you can be required to fork over more than your fair share and hope you’ll be reimbursed later. Owners of condominiums and town houses have little control over annual fee increases. Another downside is an unforeseen special assessment. If the condo building needs to do any major repairs that cannot be covered by the reserve fund, they will charge each owner a special assessment” on top of regular monthly fees. The money buyers pay for condo fees is not tax deductible and could be put toward a mortgage. For further reading, see: Buying a Home: Determine What Kind of Home Suits Your Needs. I have been toying with the idea of purchasing a home, and still do not know what kind. I am mostly considering either a town home or a condo. How do I decide out of all of the choices? Many factors come into play when determining what type of home you want and where you want it to be located. Obviously, the size and number of bedrooms will be a crucial factor. But on top of that, how much yard space do you want, and how much are you realistically willing to manage? Is a garage important to you? If you’ll have school-aged children, school districts should be a major consideration, as well as safety and family friendliness. If you consider your home purchase an investment that you hope will appreciate in value, you should become familiar with local neighborhoods. Get Your Fast Cash Offer – Click The Button Below Today To Submit Your Address! 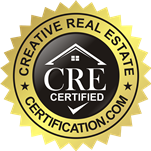 Copyright © 2019 We Buy Houses in Woodlands Texas. Powered by WordPress. Theme: Ample by ThemeGrill.